Chop & mix all ingredients. * you can also just throw all ingredients into a food processor & let it chop everything at once. 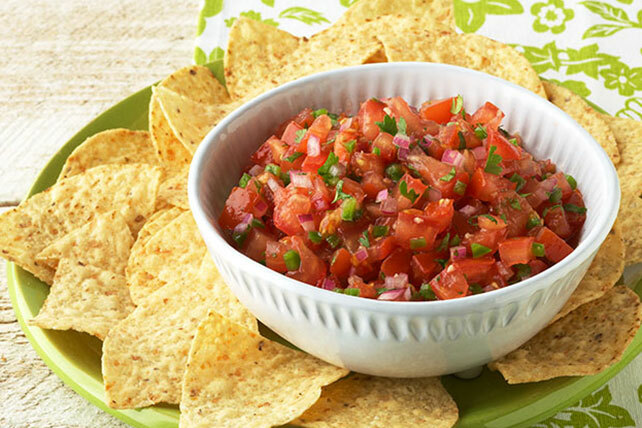 You just don't get a chunky salsa that way--but still just as delicious!